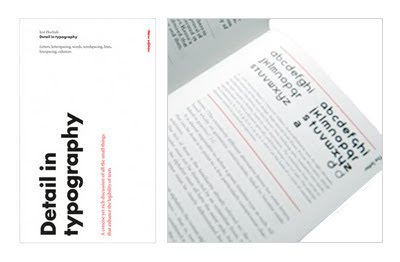 The author, Jost Hochuli, is a Swiss typographer and teacher. He is best known for his book design and as an author of books on design and typography. One of the reasons why ‘everyone thinks they are designers’ these days is, perhaps, based on the notion that ‘design’ is seen simply as an aesthetic opinion – and one based on one's own taste. A rudimentary knowledge of today’s design tool – the Apple mac – which most people now have, reinforces this notion. But designers have done little to discourage this. The critical acclaim that continues to be awarded to the likes of David Carson by organisations like D&AD is but one example. Carson, the poster-boy of post-modern graphic design, broke every ‘rule’ in the book – not because he intended to, but because, as he admits, he didn’t know them. There is no doubt that Carson captured the zeitgeist, but despite, rather than because of, his ideas. 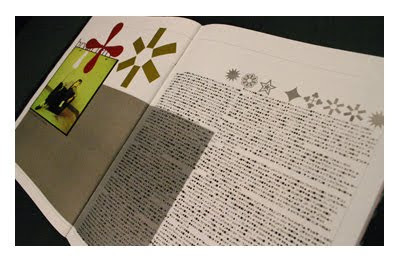 The contempt he held for the reader was best shown in an issue of Ray Gun, where he was art director, when he set an interview – that he considered boring – with Brian Ferry in Zapf Dingbats, rendering the interview unreadable. Carson is no ‘straw-man’. He is only one of many mainstream designers who see graphic design as a process of self-expression, a process that is as far away from the role of the designer as a ‘mediator of other peoples ideas’ as one could get. A reading of Detail in Typography shows that a wealth of knowledge as well as some important rules or standards underpin the practice of graphic design – or should! Furthermore, while it was already quite apparent that many typographic standards have been ignored in much of today's graphic design work – and this is as much true of the mainstream as the majority of marketing and publishing printed matter – it comes as a bolt-lightening shock after reading this work. Detail in Typography offers a coherent analysis of the finer points of typography, what Hochuli himself calls ‘micro- or detail-typography. The structure of the book is such that it eases the reader into the subject – the perfect introduction. The writing style has a gentle, persuasive quality about it and is detailed and illustrated throughout. For those of us who work for and on behalf of the reader it is at least a reminder that there are others out there who are not only interested in, but are adding to, the sum total of knowledge that gives graphic design and typography an historical and practical grounding from which we can learn and improve. hi! I have to ask you: do you know where I can find hi-res picture of the ray gun number of 1994 on bryan ferry, the famous one you talk about?